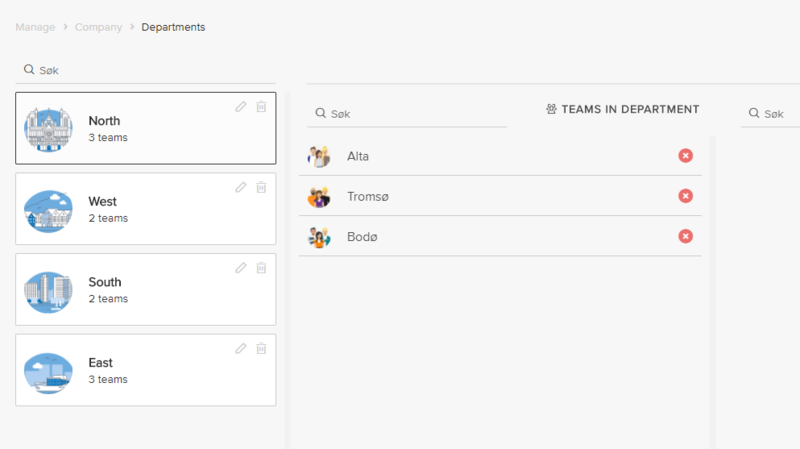 Create departments to display statistics for a subset of teams. In SalesScreen departmens are groups of teams. If you see a recurring trend where you want to display statistics for a subset of teams, departments could prove to be useful. When this is set up, you can create widgets and slides to display the performance for each department.